Last chance before the ice rolls in. Not that it’s been warm, but it’s supposed to freeze every day of the long weekend. 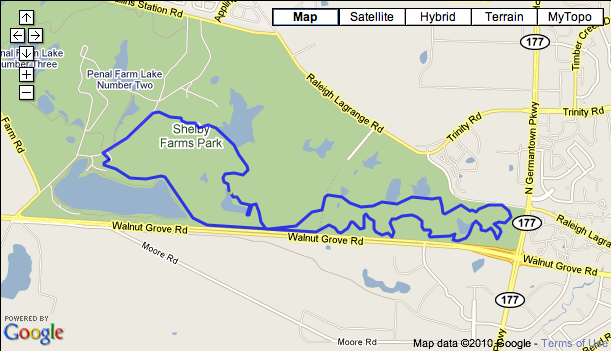 So I ran home after work to get changed, assemble the rack, load the bike and head to Shelby Farms before dusk. Good thing is that, although I haven’t been exercising often due to a nasty back injury, I manage to increase my pace by a bit every time I hit the trails. At the same time I realized that I’m afraid I’ll need to bleed the rear Hayes Stroker Ryde brake (lever and power are awful) and true the front wheel. The damm thing started wobbling in a paved downhill as soon as I let go off the bars. The shipping saga is still on and the Spanish Postal Service hasn’t tracked the package with all my bike gear and insist they’ll find it. My guess is that some sucker read the label and though my stuff would look great under the tree. 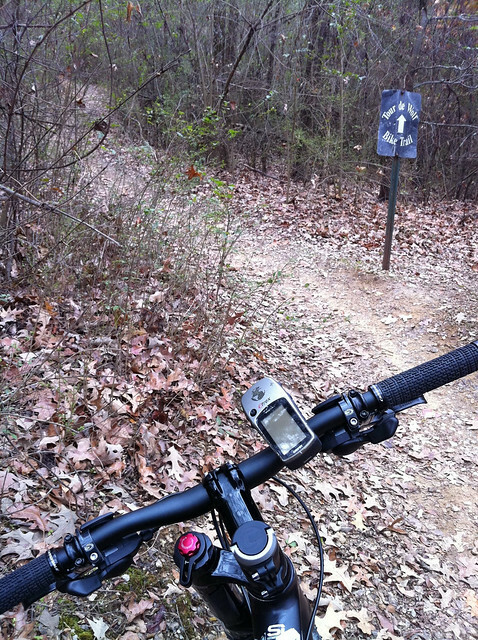 Last weekend, after three years without riding the trails I took the new ride to one of the most popular, if not the most as far as I know, mountain bike rides in Memphis, the Tour de Wolf. Like you would expect is almost flat and the maximum elevation is 101ft (30m). The overall elevation is zero because it’s a loop. 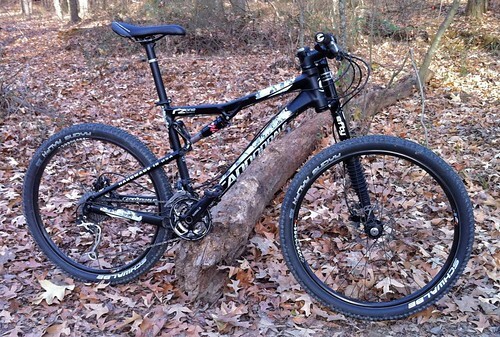 Still, it has some short steep slopes that came very helpful to get the feel of the bike and kick in the muscle memory. I was soooo happy to be back on the woods, if only there was more climbing…. I’m waiting for my gear to be delivered from home, thanks to my parents for send it, and I’m already planning to hit the Syllamo trails in Mountain View, AR. I’m going to take a few days straight when it gets warmer and ride the area on the bicycle, the motorcycle and the car. Well, the writing itching is back and LiveJournal seems due for closure, so I decided to move all my stuff to Worpress.